But, while the rifles are cracking, and little fortunes in powder are going up in smoke and little fortunes in lead are hurtling through the air, the complicated machinery of this huge shooting gallery is running so smoothly that it seems automatic. Every bullet has its billet and of the countless shots fired not one goes unrecorded. Yet the targets duck up and down, varicolored flags flash messages through the air, wires move backward and forward, wheels speak in cipher, and all the time not a human being is in evidence. The casual observer, without thought, is prone to accept it as part of the cosmos; on first thought it seems uncanny; and on second thought he is seized with an itching desire to go and see how it is done. But there are obstacles to be overcome. The casual observer will learn that the target-pit is a holy of holies, and that not even the National President of the Bund can enter it unless accompanied by two of the shooting masters. For the markers have it in their power to make or break the scores of the sharpshooters, and the sharpshooters are only human men, and ambition is oftentimes an overpowering passion. Surely, I thought, it must be great to go down there into the pit and listen to the swift-winged bullets singing their song of death not a yard above my head—all the effects of a modern battle, where the bullets are thickest and swiftest in the hottest part of the zone of fire! So I made it an object in my life to get there. The shooting masters swung off down the path in a long stride as though they had a journey in prospect, and ere that journey’s end was reached, I, trotting at their heels, realized fully the distance traversed by the bullets from gun-muzzle to target. “Shooting master” was an open sesame; and given in response to the gruff “Who’s there?” The barred door swung open and the pit yawned at our feet. It was dug between two great bulkheads of sand, one of which received the bullets fired at the targets, and the other protected the men at their work. It was very cool and quiet in the pit, with the waters of the bay dashing softly beneath and catspaws of the sea breeze drifting by now and again. There was no sound of voices and the put-put of the rifles came to the ear faint and far off. But where was the battle? Where the impact of the bullets and the zip of their flight? True, the long line of men with scarlet-banded markers’ caps produced a military effect, heightened by the lancelike spotters held in their hands and by the colored pennants; but that was all. All traditions on the subject are violated at Shell Mound. These bullets do not fly shrieking through the air. They sing no song of death or score. I know that a yard above me, invisible to the eye, a steady stream of lead is flying, hundreds upon hundreds of bullets as the minutes tick off; and yet there is absolutely no sound. Bullets may sing at one hundred yards and they may sing at three hundred yards, but I, here and now, make affirmation that they do not sing at two hundred yards, soldiers and war correspondents to the contrary. Put! put! put-a-put! put! went the rifles, and the markers’ flags and wheels, in constant motion, signaled the result of each shot. I looked at the target before me—a twelve-inch circular black spot in the midst of a white paper square. On its unchanging surface I saw nothing occur, yet the markers waved a blue flag in token that it had been pierced somewhere within six inches of the center. A fresh target takes its place and I resolve to watch more intently. Put! put! put! go the rifles, but they do not guide me. There are twenty and odd other targets and the men of the Fest are shooting at all of them. So I put my soul into my eyes and strain at the paper object. The marker suddenly thrusts up a white flag and indicates the tiniest of holes, low down and to the right. Yet the paper had not even quivered as the bullet passed through it. I watched more intently. Time and the world and the Schützenfest swing on unheeded. My whole consciousness, life and being are summed up in that paper target. And there, even as I look, a little hole has taken shape. But I did not see it take shape. The instant before it was not. The instant after it was. But so swiftly had it come that it escaped the eye. Behind the target line the sand flies up to sprays of diamond dust. A snug fortune of lead must lie in that heap of sand and I should like to grubstake a couple of men into it with pick and shovel and I would, too, were it not for the fact that Captain Sicbe located the mine years ago. Friday was Ladies’ Day, and the jolliest day of the week. The traditional hospitality and sociability of the Teuton were ably vindicated by the wives and daughters of the local sharpshooters. These ladies of the Schützenfest received the ladies of the visiting members. There was a concert by Ritzau’s American Ladies’ Orchestra, dancing in the pavilion, and singing and merrymaking everywhere; and last, but not least, there was the charming Schützen Liesel, her picturesque costume giving the quaint old-time touch necessary to complete the picture and make the color true. When night drew down, the festivities increased, and after the laurels of the day had been distributed from the Temple of Gifts, the park was illuminated, and amid the spluttering of fireworks and blazing rockets a grand ball and general jollification wound up the day. Nor were the marksmen idle. The smell of powder was strong in the shooting hall, and O. J. Barnes, of the Colorado contingent, probably made the record of the Fest in successive bull’s-eyes, dropping the red flag eight times. In the king-shooting the members of the Bund, undaunted, hammered steadily away at the targets on the heels of Adolph Strecker, and their cards are running big. That they will overtake him is not probable. If they do so, it will mean that they have broken the record of a phenomenal recordbreaker. 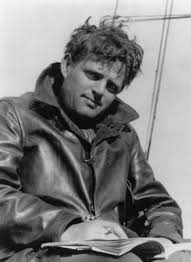 Articles by Jack London and 12 other American authors are freely available at The Archive of American Journalism.